A major port located on the northeastern Mediterranean coast of Spain, Barcelona has a wide variety of attractions that bring in tourists from across the globe. The many faces of Barcelona include the medieval Old Town, the unique street grid resulting from 19th-century urban planning. The city has both long sandy beaches and green parks on the hills, pretty much side-by-side. Barcelona is also famous for a number of prominent buildings, of which perhaps the most-known are by the architect Antonio Gaudi, including his Sagrada Família, which became Barcelona's symbol to many. 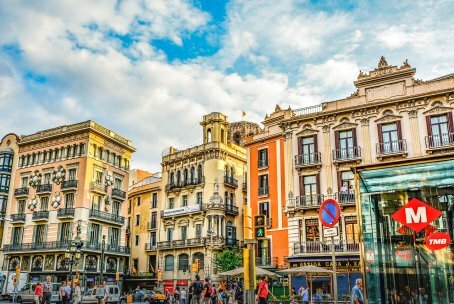 Founded more than 2,000 years ago as the ancient Roman town Barcino, Barcelona is thus as historic as it is modern, with a constant flow of projects changing the face of the city and long-standing penchant for design and innovation. Thanks to the wealth of attractions, a very well-developed accommodation base, a lively nightlife and a robust transportation system, Barcelona has become one of Europe's, and pretty much the world's, most popular tourist destinations.